Whether you are Windows user or a Linux User, Connecting MySQL database really becomes a very cramp breaking task, you can't imagine for the first time when tried for connecting MySQL with Python i was really putting my head on the wall for 3 days, then once i resolved that issue & decided to create a Step by Step guide for this because existing tutorials or post on internet are insufficient. MySQL is one of the most popular database system and if we want to use MySQL with Python then we need to install MySQL connector which is also known as official database driver provided by MySQL community. In place of MySQL connector, we can also choose other options like : PyMySQL and MySQL-Python, where all of them uses Python API of portable SQL database due to which we can switch from one library to another without changing our existing code or with some minor changes. So, Which one to choose ?? According to my opinion and previous experience, i will choose MySQL connector as it includes all features of MySQL 5.7 version as well as its very easy to setup. For setting up the MySQL python connector first we need to create virtual environment and install mysql.connector module using pip command. Now, we are done with setting up virtual environment and installing package. Let's see a code which will showcase the example of using MySQL-connector in python. In the code given below, just change User with MySQL username and password with MySQL password which you already setup while installing MySQL. 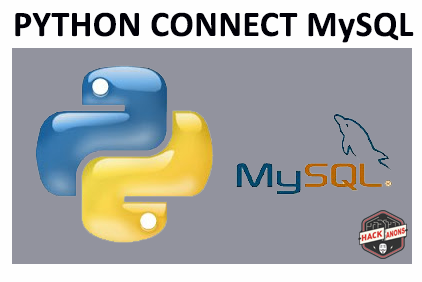 That's end up with great tutorial on Python Mysql Connectivty using Mysql Python Connector. This was a very good thing and it is also a very interesting blog. I like your great post, Thanks for giving the valuable post. Do well!! !